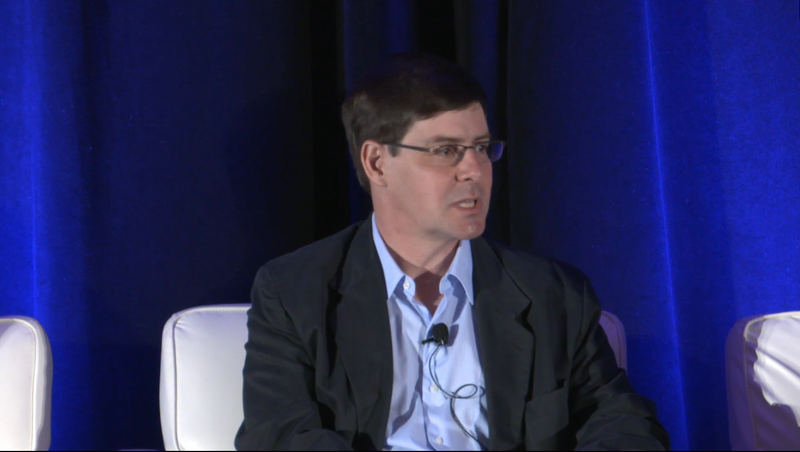 Gavin Andresen, chief scientist of the Bitcoin Foundation, said at a conference today that he believes Craig Wright is Satoshi Nakamoto, the pseudonymous inventor of Bitcoin. Andresen said that his accounts were not hacked before his endorsement of Wright as Satoshi, countering speculation from some in the Bitcoin community. Wright, an Australian computer scientist, revealed himself as Satoshi in a blog post and in articles published today by The Economist and BBC, six months after parallel investigations by Gizmodo and Wired identified Wright as a strong Satoshi candidate. Among the evidence offered in today’s reporting was a strong endorsement from Andresen, who took over lead development of the cryptocurrency after Satoshi Nakamoto stepped back from the Bitcoin community in 2011. “I believe Craig Steven Wright is the person who invented Bitcoin...I am very happy to be able to say I shook his hand and thanked him for giving Bitcoin to the world,” Andresen wrote. Wright’s reveal, and Andresen’s support, prompted wide skepticism in the community, with some speculating that Andresen had been hacked. He addressed the criticism while speaking on a panel this morning at Consensus 2016, a cryptocurrency conference in New York City. “I’ll first say, I was not hacked. The blog post that I posted this morning...is indeed my words. I still believe that Craig Wright is, beyond a reasonable doubt in my head, Satoshi Nakamoto,” Andresen said at the beginning of the panel, which Gizmodo accessed via livestream. The Bitcoin community’s skepticism about Wright’s reveal had to do with an apparent flaw in the cryptographic proof he offered of his identity. A widely circulated blog post by a developer named Patrick McKenzie called the reveal “flimflam and hokum,” pointing out that the cryptographic signature Wright used was apparently derived from a different block of text than the message it was supposedly signing. Andresen would not have signed off on a dubious identification, according to the skeptics, opening the possibility that someone else had accessed his accounts. The suspicion was serious enough that Andresen’s access to contribute to a Bitcoin project known as Bitcoin Core was revoked this morning. At the end of the panel, which primarily focused on issues other than the identity of Satoshi, Andresen elaborated on his support for Wright. Andreen said that he had privately witnessed Wright giving more thorough and convincing cryptographic proof of his identity than what had been offered in the blog post, a claim he also made earlier this morning on Reddit. Not everyone was convinced. Immediately after Andresen gave his closing statement, another panel member, Vitalik Buterin, a prominent cryptocurrency developer, interjected. “Just to sow a bit of controversy for fun, I’ll explain why I think he’s probably not Satoshi,” Buterin said, before questioning why Wright didn’t offer more conclusive proof in public. The room erupted into applause.